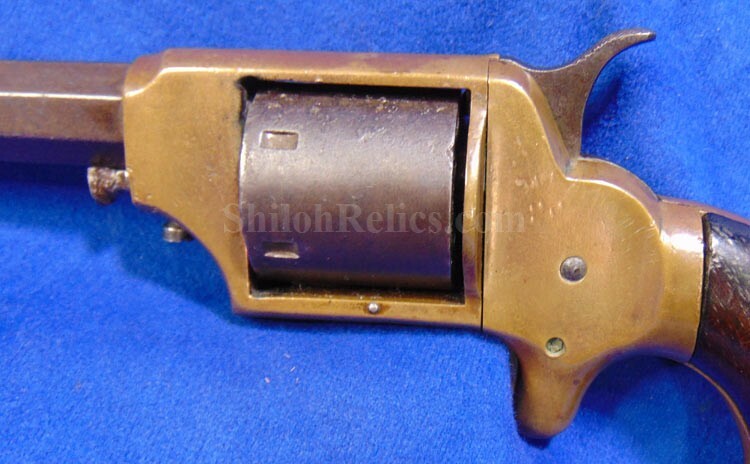 This is a tough to find authentic Civil War era revolver made by the firm of William Uhlinger in Philadelphia, Pennsylvania between 18761 and 1865. 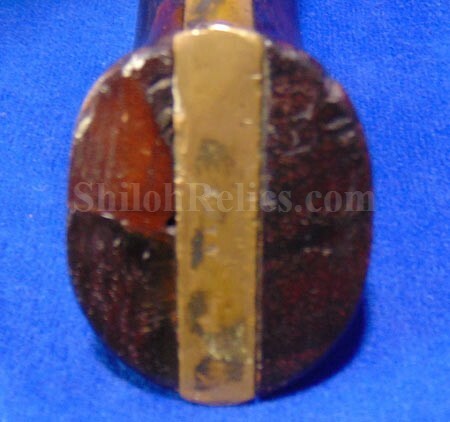 This is the larger of the two styles that fires the 6 shots of .32 caliber cartridges. It is one of the unmarked versions. 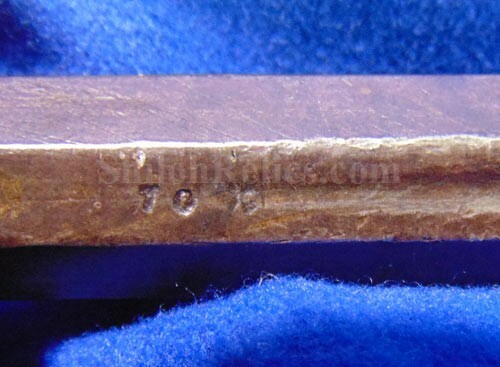 These are often marked by trade names. 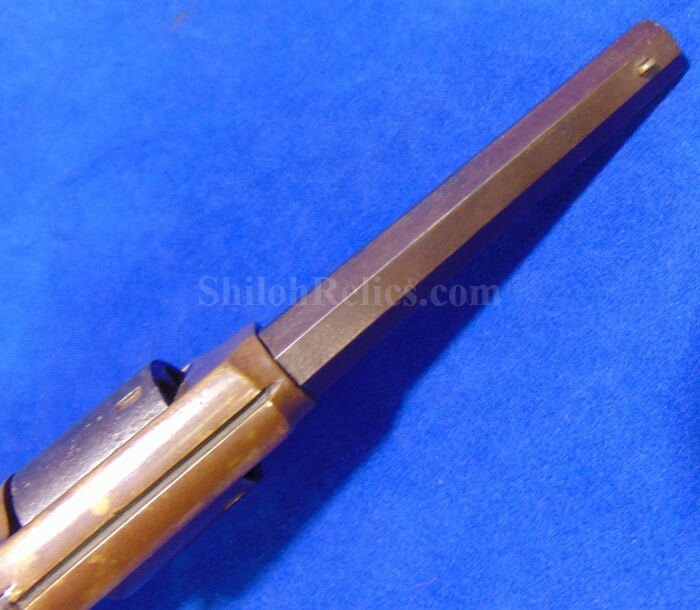 It has the full-length 4.25 inch barrel with the brass blade style front sight. 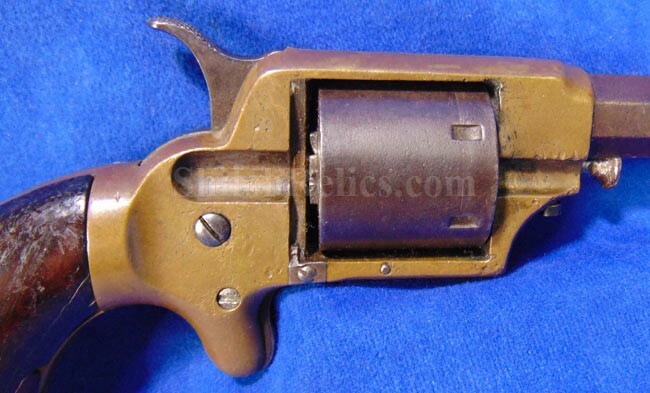 Uhlinger used the unmarked guns along with various trade names so they could avoid the prosecution for stealing the Smith & Wesson patent on this pattern of cartridge. 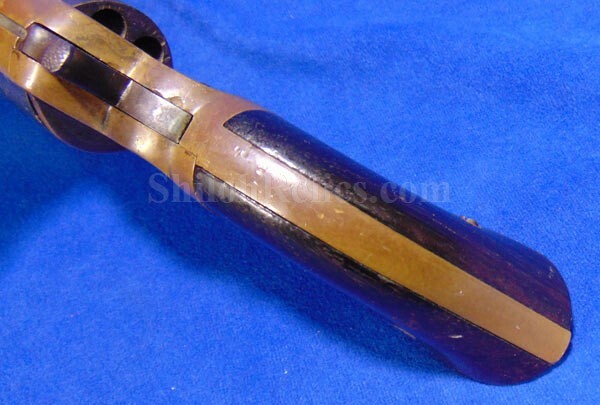 What makes this gun extra special is that it is one of the ones that were made using a bras frame instead of the standard iron frame. 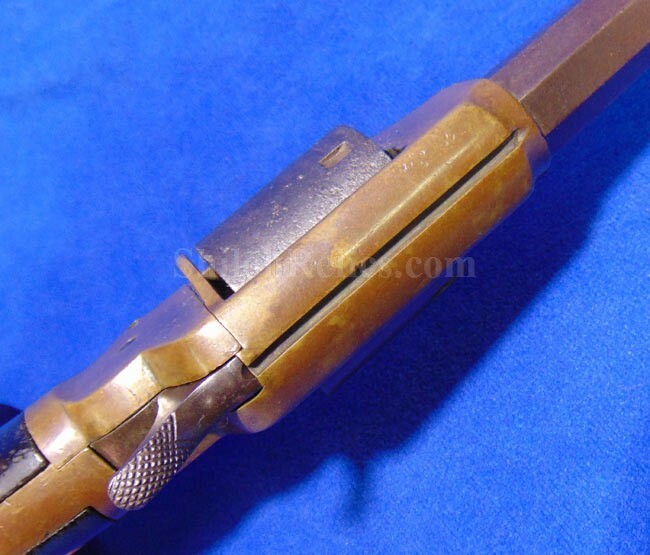 Flayderman states that these brass framed guns are "...very rare and will bring considerable premium." 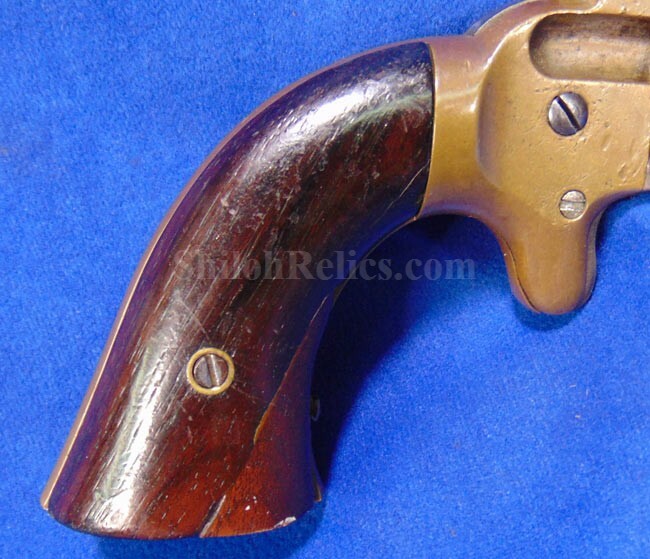 The gun is nice looking and it has the matching serial numbers of "3,770” under the grip and on the side of the cylinder. Under the barrel it has the last two digits of "70" still visible. The mechanics of the gun work on all positions. 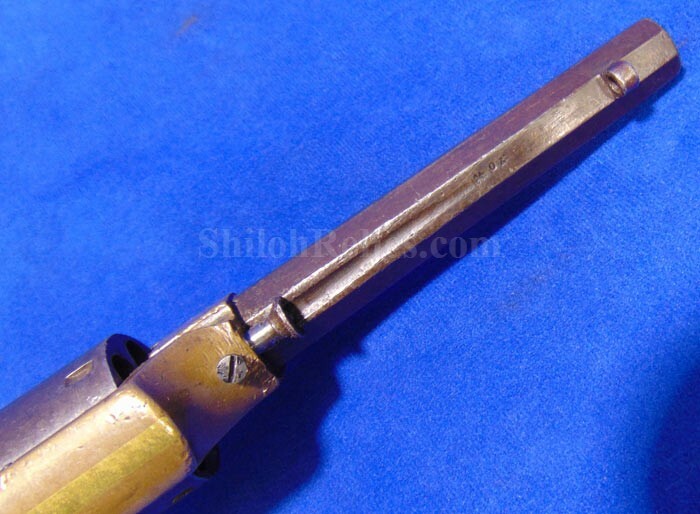 The ejector rod underneath the barrel was removed and has the original cylinder pin remaining. 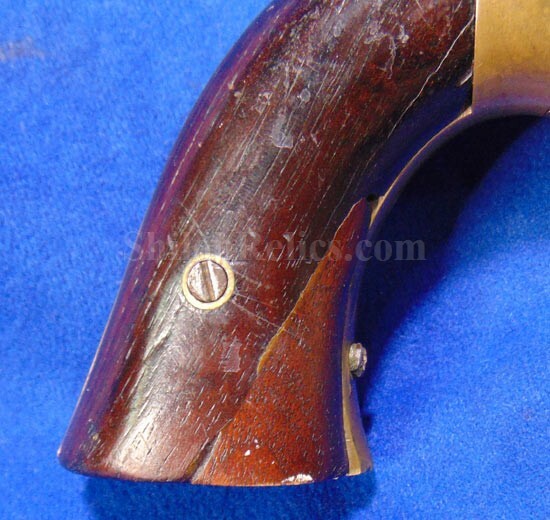 The original walnut grips are intact on the handle and as you can see they have a repair to the right hand side. 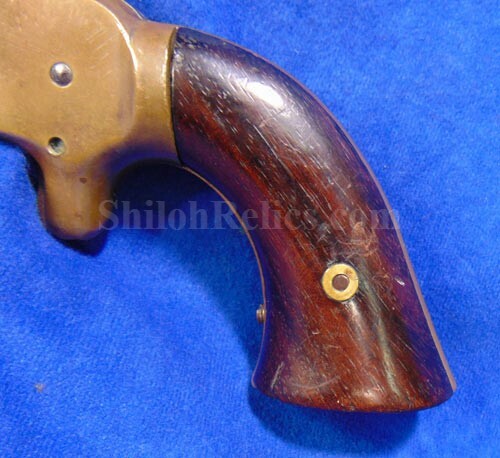 This is a nice looking gun that was only made during the Civil War and is still affordable.